What is Zoo Med ReptiBator? How to set up the incubator? How to adjust the temperature scale? How to set the temperature? How to set up the alarm function? 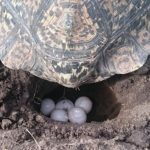 How to prepare the turtle eggs for incubation? What do I love about the Zoo Med ReptiBator? The incubator is a specially made apparatus, which provides a controlled environment to hatch eggs. There are different types of incubators for different types of animals. For successful hatching of turtle eggs, we also need an incubator, which is specially made for reptiles. When it comes to turtle, my most favorite turtle egg incubator for sale is the Zoo Med ReptiBator. If you don’t know yet, Zoo Med is a very well-known pet company throughout the United States which is famous for their pet products. The experts at Zoo Med made a special type of incubator for hatching reptile eggs. This economically feasible reptile egg incubator is named as the Zoo Med ReptiBator. When it comes to hatching turtle eggs, keeping control over the temperature and humidity is extremely important. It is vital that the humidity and temperature inside the incubator stay in the ideal range. Otherwise, the whole clutch of eggs can die. With the ReptiBator, the breeders gain full access to control over the temperature and humidity inside the incubator. It increases the success rate of developing eggs drastically. There is a programmable temperature alarm inside the incubator which alarms when the temperature falls under a specific range. So, you know instantly if something goes wrong. As a result, you can make things right before it is too late. There is a built-in memory which saves your temperature and humidity settings. So, in case of any power failure, you don’t need to adjust the settings again and again. The incubator has a clear plastic cover. So, you can inspect the eggs anytime without even opening the cover. it also helps to keep the temperature and humidity in control. In the base of the incubator, there are multiple reservoirs molded for holding water. It helps to raise the humidity level inside the incubator. There are also a number of holes in the base for air ventilation. The ReptiBator comes with a sponge insert which you place over the base. It helps to control the humidity inside the incubator. The incubator can be controlled digitally within seconds. Has an LED display over the top which shows the humidity level and temperature inside the incubator. Also has a heat indicator. You can set the temperature between a range of 59 to 104 degrees Fahrenheit, with a humidity level between 10% to 95%. Thanks to the programmable alarm future, you can have enough time to make everything right if any unexpected things occur. Due to the built-in memory system, you don’t need to adjust the settings every time there is a power failure. The memory will remember your settings once you adjust it for the first time. As the incubator has a clear top, you can inspect the eggs anytime without even lifting the top. It helps to maintain the temperature and the humidity inside the incubator. The water reservoirs molded in the base of the incubator helps to maintain a good humidity level inside the incubator. The sponge insert keeps the humidity level constant for a long period of time. There are numerous holes in the base for proper air ventilation. The dimension of the incubator is about 18.5 x 18.5 x 9.5 inches. It weighs about 4.41 pounds. The ReptiBator consists of three main pieces. The first piece is the Base. The base has molded reservoirs inside it for holding the water. It helps to increase the humidity level inside the incubator. The base is made from recycled Styrofoam collected from the USA. The second piece is the foam sponge insert. It is required for high water retention in cases where you need high humidity for hatching the eggs. It also helps if the incubator is going to be unattended for an extended period of time. The third piece is the Hood. It is considered as the Brain of the incubator. The hood contains the main heating element of the incubator. It also has the program panel for adjusting the temperature range, temperature scale, and the alarm settings. First, place the ReptiBator in a cool area inside your home, where the temperature remains fairly constant. Now, add water to the channels of the molded reservoirs. Make sure to only fill the channels otherwise the water will leak through the ventilation holes. Now, it’s time to place the foam insert over the base. Remember to place the flat side facing down. Lastly, place the hood over the base. Congratulations, your ReptiBator is ready to roll! once you place the hood over the base, the led display will get activated. The control panel has two buttons labeled as WARMER and COOLER with a heat indicator. To switch between the temperature scales (Celsius or Fahrenheit), all you need to do is first hold the WARMER button, and then press the COOLER button for switching between the temperature scales. Once you have set the temperature range, press the WARMER button to adjust the temperature. When you press the WARMER button, the temperature will set to default and the word HEAT should appear on the LED screen. From there, you can easily adjust the temperature pressing the WARMER and COOLER buttons. For increasing the temperature, press the WARMER button and press the COOLER button for decreasing. Once you have set the desired temperature, leave the menu alone for 5 seconds for it to accept the input. The temperature can be chosen between 59 to 104 degrees Fahrenheit or 15 to 40 degrees Celsius. The heating indicator will light up whenever the heating element is in operational mode. The flashing of the indicator indicates that the heating element of the ReptiBator is producing pulses of heat for stabilizing the temperature of the incubator. Thanks to the programmable alarm feature, the display will flash if the temperature gets out of the desired range. You can access the control of the alarm feature by pressing the COOLER button. You should see a pair of bells in the lower right corner of the display. It indicates that you are in the right setting mode. Once you are in the alarm mode, increase the number of degrees for the alarm by pressing the WARMER button. Once you have chosen the right value, wait for 5 seconds for the menu to process the input. Congratulations, the alarm setting is ready for rolling! Never disturb the turtle when it is getting ready for laying eggs. Don’t move it or hold it. Doing so will unnecessarily make the turtle stressed. Once the turtle has laid all the eggs, they are ready for moving. Never, rotate the eggs when you are moving them. If the orientation of the eggs is changed in any way, the embryo inside will die. So, to keep track of the orientation, put a mark on the top side of the eggs with a marker. The marked side should always face the top when you are placing them in the incubator. Now, take a container, and drill some holes in it for ventilation. Now put some vermiculite in the container. You’ll also need to put an equal weight of water in the vermiculite. NOTE THAT, THE VERMICULITE AND THE WATER SHOULD BE EQUAL IN WEIGHT, NOT BY VOLUME. now mix the vermiculite thoroughly with the water. Don’t fill up the container fully with vermiculite. leave a couple of inches free at the top. Now all you need to do is, make an impression with your finger over the vermiculite, and place each egg keeping the same orientation as you have got them from the nest. Once you’ve placed all the eggs, it’s time to seal the container with a lid and place it inside the ReptiBator. Check the ReptiBator at least couple of times a week to see if everything is okay. I love the fact that, with the Zoo Med ReptiBator, it is very easy to control both the temperature and humidity level inside the incubator. Keeping the temperature and humidity in the correct range is a real challenge. Most of the eggs in a clutch dies due to wrong temperature and humidity level. However, with the ReptiBator, I don’t need to stress over the temperature and humidity which is a great relief. I also admire the alarm feature of the Zoo Med ReptiBator. Many things can go wrong in an incubator. If you don’t have enough time when something goes wrong inside the incubator, there is high chance that the eggs will die. Thanks to the programmable alarm feature of the ReptiBator, it lets me know whenever something goes wrong inside the incubator. As a result, I can have enough time to fix it before the situation becomes deadly. The first limitation that I observed was the heating element and the temperature monitor both located at the top of the incubator. This will give you a false reading of the temperature. Suppose, you have set the temperature 79 degrees Fahrenheit. Now, on the top side of the incubator, the temperature will be at 79 degrees Fahrenheit. However, the eggs will be placed in much lower, over the sponge insert. There, the temperature will fall off several degrees. So, you’ll not get an actual temperature reading of the area surrounding the eggs. I solved this problem by using a secondary thermometer. Zoo Med Reptile Thermometer is the best for this case. All I did was insert the probe of the thermometer beside the egg containers. It allows me to observe the actual temperature of the area surrounding the turtle eggs. Another limitation is, there are too many ventilation holes in the base of the incubator. With all that ventilation holes, it is really tough to keep the temperature and humidity constant inside the incubator. I solved this problem by sealing off some the holes using silicone glue. I think the Zoo Med ReptiBator is great for hatching not only turtle eggs but also any reptile eggs. It is true that I can hatch turtle eggs with a DIY incubator, however, with the ReptiBator, the success rate of the eggs surviving increases drastically. It is also very easy to control the temperature and the humidity with the ReptiBator. So, if you are serious about hatching turtle eggs and want to hatch as many turtle eggs as you can, I’ll definitely suggest you to try Zoo Med ReptiBator. Granted that it is not cheap, however, it is the best turtle egg incubator for sale in the market.